More Tickborne Diseases Other Than Lyme. Maybe Just Don't Go Outside. I said in Monday’s post (about the CDC changing its estimate of Lyme disease diagnoses in the US, raising it 10-fold from 30,000 new cases per year to 300,000) that there has been a run of recent news about other tickborne diseases. If you are someone who loves the outdoors — or even, you know, your back garden — it’s important to pay attention to such research, because these diseases are just becoming known and thus are often not recognized by physicians. Which means, of course, that someone who has the misfortune to contract one might be misdiagnosed, might be given antibiotics that won’t work against the organism, or might even be dismissed as malingering. 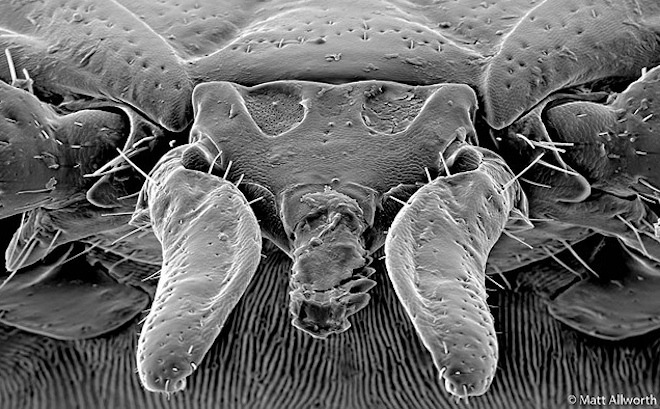 The most recent and saddest piece of news: Joseph Osumbe Elone, a 17-year-old high school student from Poughkeepsie, NY, died earlier this month from what is believed to have been an infection with Powassan virus, one of these lesser-known tickborne diseases. According to his family, he had been mildly ill for several weeks, with a cough but no striking symptoms, and collapsed and died Aug. 4. Recently I visited a relative on the eastern end of Long Island, about 90 miles outside New York City. The heat was brutal, and the house had no air conditioning and wasn’t accommodating to breezes — so on the first night I arrived, I sat out on the deck as the sun sank and the air cooled. Just as it became too dim to see the far end of the garden, there was a thrashing noise, as though something had gotten caught in the hedge beyond the pool, and then a whffft as whatever had tangled itself sailed over the obstacle. A moment later, something spiny but soft-edged poked into the sliver of light from the window, and bobbed, and bowed toward the ground. The spiny bits were antlers; the intruders were two white-tailed bucks, at least a year old, come to munch on the unattended lawn. If you’ve been reading for a while, you might remember some posts about nationwide shortages of drugs. The Food and Drug Administration was concerned, and so were very senior physicians working in infectious disease, cancer, everyday emergency medicine and even veterinary care. The crisis faded from view, as they do. 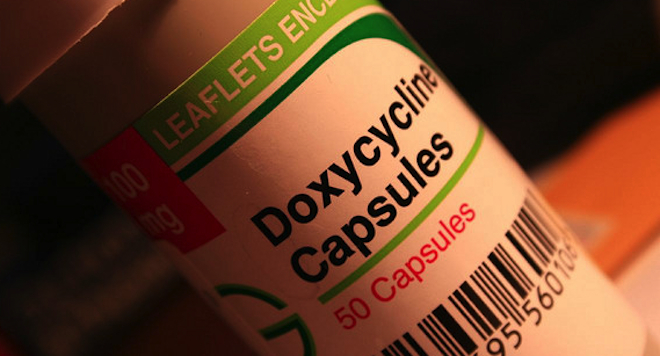 So it wasn’t much noticed that back in March, the American Academy of Pediatrics warned of an FDA alert over an apparent shortage of doxycycline, an old and inexpensive drug that is used mostly for uncomplicated infections such as sexually transmitted diseases and acne. It is also used, though, as the first treatment for a new case of Lyme disease — and that, more than anything, has sparked alarm. 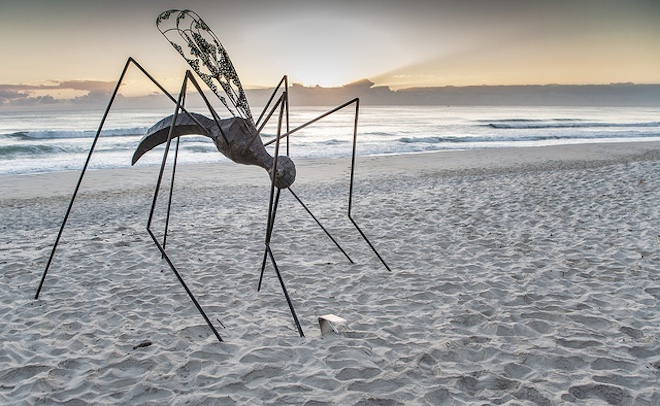 Following up on last week’s post about the advance of dengue: I’ve been keeping track of new news regarding other diseases transmitted by insects and arthropods, but haven’t had a chance to write them up. So here’s an end-of-year round-up. It’s not cheery (are my posts ever cheery? ), but maybe it will prompt some New Year’s resolutions to wear repellents and long pants outdoors. These diseases are no fun. Meanwhile, I was learning more about ticks. 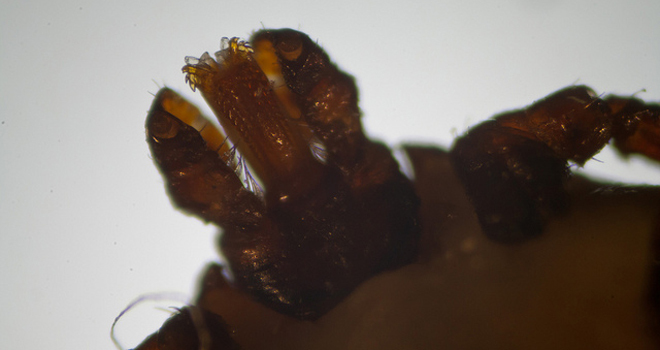 A tick’s mouth parts under 40x magnification. In the summer of 2009, two men from northwest Missouri showed up at Heartland Regional Medical Center in St. Joseph, tucked up against the Kansas border 50 miles north of Kansas City. The men were seriously sick. They had high fevers, fatigue, aches, diarrhea and disordered blood counts: lower than normal amounts of white blood cells, which fight infection, and also lower than normal platelets, cells that control bleeding by helping blood to clot. But they had none of the diseases that were high on the differential diagnosis, the list of possible causes that doctors work their way down as they try to figure out what has gone wrong: no flu, no typhus, no Clostridium difficile, and none of the serious foodborne illnesses — no Salmonella, no Shigella, and no Campylobacter. The two men had one thing in common, though: About a week before being hospitalized, each remembered, he had been bitten by a tick. The northeastern United States faces potentially “the worst year yet” for Lyme disease and other tickborne infections because of the periodic abundance of a little-noticed component of the disease’s complex ecology: acorns. Dr. Richard S. Ostfeld of the Cary Institute of Ecosystem Studies in Millbrook, New York, explained during a presentation Tuesday at the International Conference on Emerging Infectious Diseases (ICEID) that a heavy crop of acorns in 2010 — a phenomenon known as a “mast year” — fueled a 2011 population bloom in white-footed mice, which stash acorns for winter food and begin breeding earlier in years when they are well-fed. That surge intersected with the two-year lifecycle of the ticks that transmit Lyme disease, for which mice are the key host, and this summer could produce a bumper crop of infected tick nymphs looking to bite large mammals — including humans. “We’re already working with health departments” in Lyme-endemic areas to help craft messages to the public about the potential risk, Ostfeld said during his talk. The prediction, which is based on earlier work by Ostfeld and colleagues (including these papers in 2006, 2005 and 2001) relies on the key role that white-footed mice (Peromyscus leucopus) play in perpetuating Lyme disease. That species, he said, appears to be the most competent reservoir for Borrelia burgdorferi, the bacterial cause of Lyme. 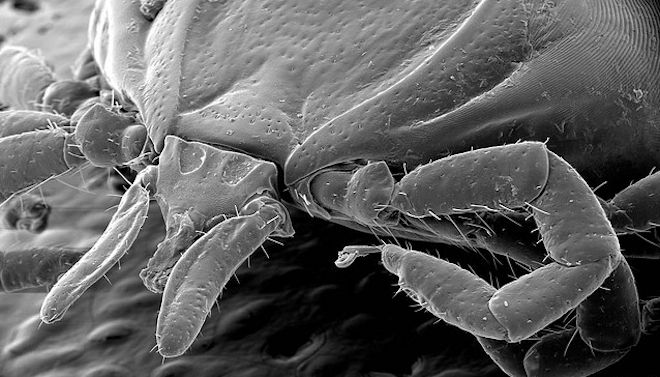 Mice sustain the infection without cost to themselves, are frequently bitten by tick larvae, and groom off or otherwise kill the larvae at lesser rates than other small mammals that are bitten — allowing the larvae to drop off naturally and complete their transformation into tick nymphs that transmit infection in their second year of life. Mice also can survive in much smaller areas than the larger animals, chiefly deer, that are usually blamed for perpetuating Lyme, Ostfeld pointed out. In sampling of “forest fragments” sliced up by development in three northeastern states, his team has not found a parcel in which mice did not thrive. Larger parcels with more balanced ecosystems, with natural mouse predators and larger mammals, actually tend to have lower Lyme density, he said. Because of the yearlong gaps between bumper crops of acorns, mice, and then ticks, the reliable but irregular masting phenomenon could be used as an early-warning signal for Lyme exposure risks, Ostfeld pointed out. Oak trees mast roughly every three to five years, “and when you are in a mast year, you always know it,” he said. Cite: Osterfeld R. “Ecological Drivers of Tickborne Diseases in North America.” 8th International Conference on Emerging Infectious Diseases, Atlanta, Ga. March 13, 2012. “We’ve seen pretty dramatic increases,” says Jennifer McQuiston, an epidemiology team leader in the vector-borne disease division of the Centers for Disease Control and Prevention in Atlanta. “We’re told to get out and exercise and enjoy nature, so we need to be aware.” Most people have heard of Lyme disease, which appeared among residents of that town in Connecticut in the mid-1970s and now affects more than 35,000 Americans per year. Most Lyme cases occur in the Northeast and upper Midwest; if you don’t live there, you might be safe from Lyme but still at risk for other diseases. Cases of a tickborne illness known as ehrlichiosis grew from 200 to 957 nationwide—a 378 percent jump—between 2000 and 2008, according to the CDC. The infection anaplasmosis nearly tripled in the same period, and Rocky Mountain spotted fever quintupled. The new disease STARI (southern tick-associated rash illness) has spread across the South, and strains of an infection called rickettsiosis have hit the Gulf and Pacific coasts. All of these non-Lyme tick diseases attack victims in a similar way, bringing on fever, headache, and muscle and joint pain—making it easy to misdiagnose them as anything from flu to meningitis, says [Gary P. Wormser, M.D., the chief of infectious diseases at Westchester Medical Center and New York Medical College and head of a team researching tick diseases]. If the patient remembers finding a tick, or develops a rash, that’s a big clue. If not, “it is somewhat common for these to be missed. The symptoms resemble so many other common viral infections,” says Gregory A. Storch, M.D., a pediatric infectious-disease specialist at Washington University in St. Louis, which created a multidisciplinary tickborne-disease research team because cases have surged there. …[B]ecause medical awareness has not kept up, patients have been overlooked, undertreated and taken by surprise when their enjoyment of the outdoors—a hike, a run, a round of golf, their own backyard—turns into a life-altering threat. 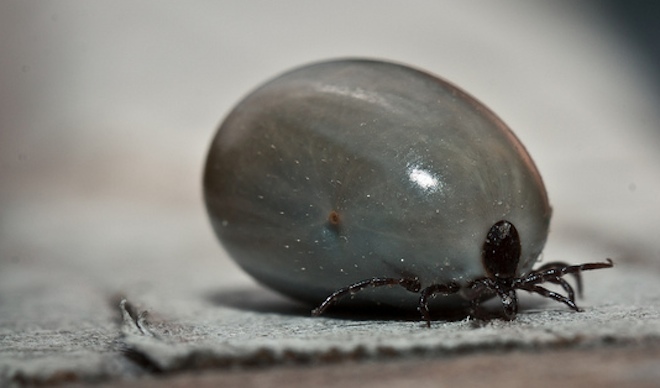 Sometimes these infections can be transmitted by a tick bite at the same time as Lyme, making them what physicians and Lyme patients call “co-infections.” Sometimes they are mistaken for Lyme. Some of them require different drugs to treat, so if they are not diagnosed correctly, people will not be treated properly and the diseases can linger. That’s especially important for one of them, babesiosis, because it is caused not by a bacterium but by a parasite that lives in red blood cells much as malaria does — in fact, one researcher described it to me as “American malaria.” Because many people don’t show obvious symptoms, babesiosis isn’t always detected and treated. As a result, it is spreading, both from women to their children prenatally, and also, troublingly, through the blood supply. Babesiosis is currently the No. 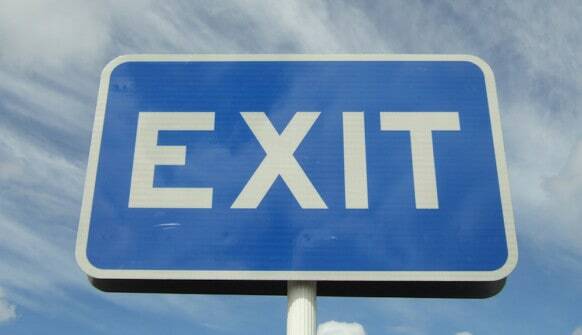 1 cause of infections transmitted through blood transfusion in the United States. Unlike other infections that are potentially passed by blood, such as HIV and West Nile virus, there is no test for babesiosis that blood banks can use. In 2007, in a case that rang alarm bells, a cancer patient in California arrived at the hospital weak and throwing up blood. Tests revealed babesiosis: He had been infected by blood from a man who had donated in Maine, say Van P. Ngo and Rachel Civen, M.D., epidemiologists at the Los Angeles County Department of Health who investigated the case. The FDA has since reported that over the past 10 years, babesiosis has infected more than 100 Americans via transfusions—and 11 of them have died. These are tiny numbers compared with the more than 5 million people who receive transfusions in the United States each year. But there are almost certainly more cases than there would be if blood banks could effectively check for the parasite. Right now, donors merely complete a questionnaire that asks whether they have had babesiosis or unexplained fever. In one study in Connecticut, 1 out of every 100 donors who passed that screening was shown to be potentially infectious. These infections aren’t often deadly, but sometimes “deadly” isn’t the point: For many of the women (and men) who have had them, they are life-interrupting and sometimes life-changing, requiring tough drug treatment and long recovery times. A number of women who suffered from babesiosis and erlichiosis generously shared their stories with me, and two are featured in SELF. I hope you’ll take a look.